Kinetika | Cooks and crafters – get involved with Tilbury Community Feast! Cooks and crafters – get involved with Tilbury Community Feast! Do you have a brilliant recipe to share or can you help make bunting? The Tilbury community feast would love to hear from you! When: 16-21 July 2018 – see below for what happens on each date. 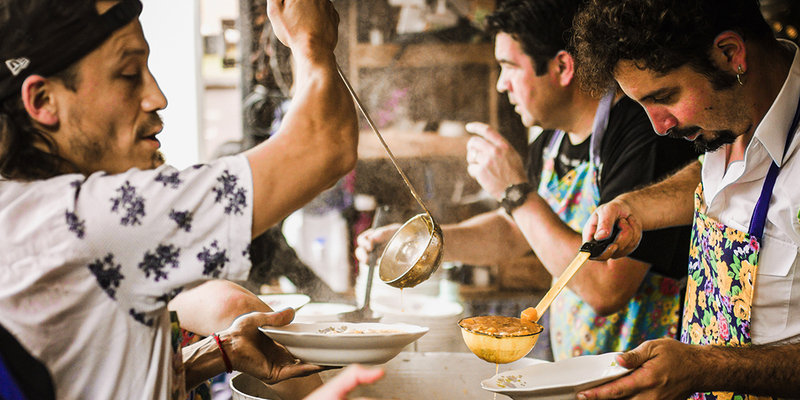 Kinetika is collaborating with Chilean arts organisation Teatro Container to bring La Cocina Publica, their Public Kitchen, to Tilbury to create a free community feast. The feast will happen on 21 July 1.30-3.30pm, and coincide with an open day at the port. What is it? The community feast is a place where people bring what they can, and with the help of Teatro Container an afternoon to remember is created! It is a way to meet other people, families and communities from the local area and share a afternoon of food and entertainment. Why do we need you? Teatro Container would like to meet and collaborate with anyone who has a delicious recipe to share, or anyone who can help make bunting out of old clothes. If you have some old clothes you’d like to get rid of, then this is the perfect way to recycle them! Teatro Container have been doing this in Chile for 10 years, and this is their first UK tour. 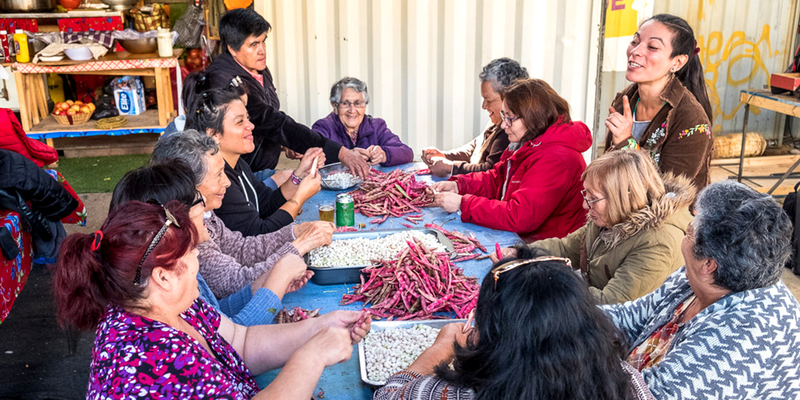 They have asked to collaborate with local and diverse artists, performers and community groups prior to the event to devise a menu, drawing together local recipes and foods, as well as stories and songs. Their mobile kitchen is built inside a shipping container, perfect for Tilbury! It offers a place to share moments and memories and rediscover and appreciate food from around the world. Mon 16 July (12- 3pm or 4.30-6.30 pm) Textiles – making party bunting from old clothes – bring clothes to recycle, the more the merrier! Tues 17 July (4.30-6.30 pm) Cooking and recipe sharing over tea and cake, sounds delicious! Bring your best recipes to share and they might be served at the feast! Thurs 19 July (10am-1pm) Community Feast rehearsal – it all comes together – music, performance, cooking and textiles! Sat 21 July (1.30-3.30pm) Community Feast event!